Raising a calf into a healthy cow starts at Day One. Providing the appropriate vaccinations is critical to the health of each calf, as well as the herd as a whole. An unvaccinated calf can catch a disease that can quickly spread to the entire herd and potentially wipe it out. A shot of prevention in this case is definitely worth a pound of cure, and thousands of dollars. 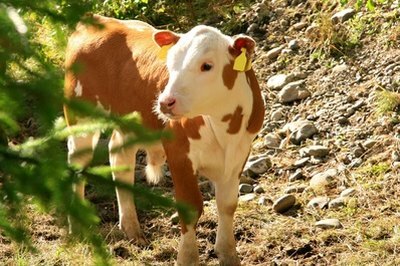 There are several vaccinations that should be administered to newborn calves. Cholstridial vaccination protects against seven diseases: blackleg, black disease, malignant edema, tetanus and three types of enterotoxemia. This vaccination is available in several combinations of from two to eight agents. Calves should receive these shots at six weeks of age followed by a booster four to six weeks later. At one year, calves should receive their final booster, which will protect them for the rest of their lives. There are four viral agents that can cause respiratory or reproductive problems in cows: infectious bovine rhinotracheitis (IBR), bovine virus diarrhea (BVD), parainfluenza type 3 (PI3) and bovine respiratory syncytial virus (BRSV). Each agent has its own vaccination. TSV-2 is for preventing infectious bovine rhinotracheitis. An intranasal vaccine is used for PI3. Bovi-Shield BRSV is for vaccination bovine respiratory syncytial virus (BRSV). Each of these should be administered to a calf at three to six months. Some require a booster shot three months later. Vaccinating the newborn calves is only half the battle. The other half is tracking the vaccinations. It is very important to maintain a good tracking system of tracking. There are a large number of shots that each cow needs for proper health, and they are administered at different times and sometimes more than once. It would be very difficult to remember all of this in your head, especially if you have a large herd. There are cattle-management programs such as CattleMax, Lions Edge and Cow Sense that can be helpful at assisting you in tracking a herd. It is important to have a good record for several reasons. One of the more important is if you plan on selling cows at market. It is much like having a vaccination record for children as they go to school—many schools will not enroll children who have not been properly vaccinated. Many markets will not sell cows that do not have proper documentation regarding vaccinations. Review your cows' vaccinations each year with a veterinarian who is familiar with cattle. He will be able to identify any gaps in the schedule and suggest any other vaccinations. Do Donkeys Need the Same Injections as Horses? When Should a Horse Be Inoculated & for What?